Minister Michael Manyin says teachers must remain committed for the sake of students’ future. PETALING JAYA: Education, Science and Technological Research Minister Michael Manyin said educators and students in Sarawak are facing many challenges, among them run-down and dilapidated schools. “Such schools are a letdown to teachers who are committed to their profession, who are hardworking and guide their students to do well,” The Borneo Post quoted Manyin as saying. He said teachers who aimed for excellence deserve better conditions but financial constraints could be a setback. “We understand the dilapidated conditions facing teachers, but they should not use that as an excuse not to do a good job in educating students,” Manyin told the media at the Padawan district-level Teachers’ Day celebration at SM Sains Kuching yesterday. There are 1,454 schools in Sarawak, of which 1,020 are dilapidated and 415 in critical condition, said Manyin. 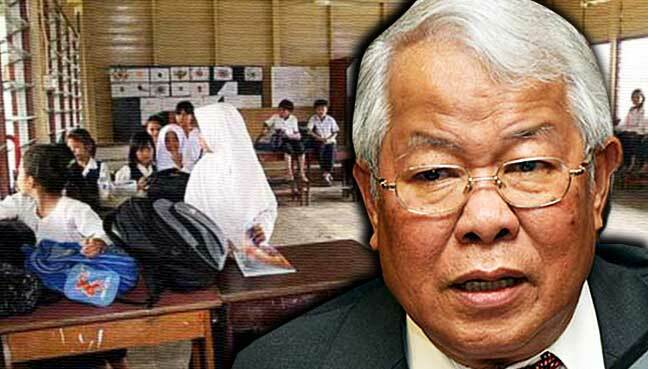 “Another constraint is many schools in Sarawak are under-enrolled,” he said, adding that the education ministry defined under-enrolled schools as those with less than 150 students. “Students studying at under-enrolled schools are usually deprived of specialist teachers, so English or Bahasa Malaysia teachers are asked to teach subjects they are not qualified in,” Manyin said. He said such teachers could not be blamed if students did not have an interest in certain subjects, such as Mathematics, right from Primary 1. He added that such under-enrolled schools did not have a competitive environment as some classes had only two students. “To date, there are 651 merged schools in the state, the majority of which are in rural areas,” he said. sake of the next generation. Present at the event were the state Education Department’s management and academic sector chief Salbiah Seman, Padawan district education officer Bihud Apok, Padawan district deputy education officer Chong Choi Ling, and SM Sains Kuching principal Setia Ken.